1. Three point defense has been awful all season long. They are allowing 8 made three pointers a game and allowing their opponents to shoot .41 % from downtown. That is a bad percentage because the three ball is what puts teams back into games like we saw against South Dakota and especially in Bucknell. This means their rotation is off and they need to make better adjustments as the season progresses. 2.This team is shooting 65% from the free throw lines. When the game is on the line and you have to hit two free throws, who do you want taking it? In this case, no one because they cannot hit it at the charity stripe. There is a reason they call it that too. It is FREE Throws. They need to start hitting it at the line if they want to win and advance far in any tournament this year. 3.They have a +14 in the rebounding margin so far this season. With a team this small, you love to see that on the stat sheet. You love to see this team look like they have grown in size when it is actually their heart. I like that about this team this year. 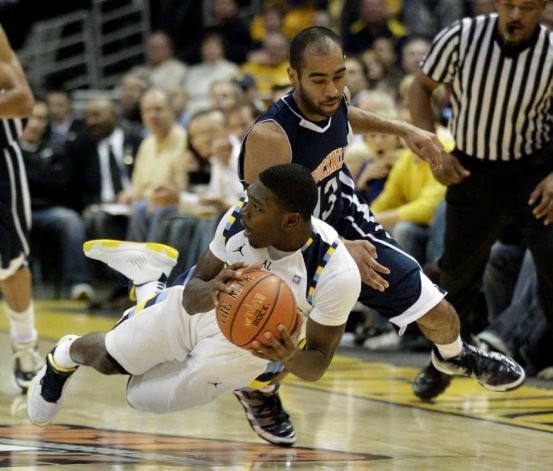 4.Averaging 12 pts a game is Senior, Dwight Byucks. I really like what this senior is doing on the floor. I love that when the team is down, he is quietly stepping up to the table and taking the challenges for the team. It is not only that he is taking the challenges, but he is actually pulling through and succeeding with it as well. He has started rallies, caused turnovers, played with injuries. This kid has stepped up big and the Golden Eagles might want to rely a little more on #23 this season. 5.Darius Johnson-Odom is shooting 2-12 from downtown this season. This doesn’t worry me, but it sends me a sign that what was once an easy look for him has caused him difficulty and may look somewhere else in his game to spark. He is a great talent and is a huge competitor but when the game counts the most, DJO has to hit those shots in order to get some W’s for the Golden Eagles. 7.Finally, Jae Crowder has been a stud and I have known that since he has gotten here. The Junior College Player of the Year last year has put up big numbers and has been a huge provider for this team off the bench. He is averaging 11 pts and 8 reb. a game and has looked like last years #32 Lazar Hayward out there with his shot and low post moves. Crowder is just such a smart player who doesn’t turn it over, looks for his teammates in the open, and really looks out for the team and for a win. 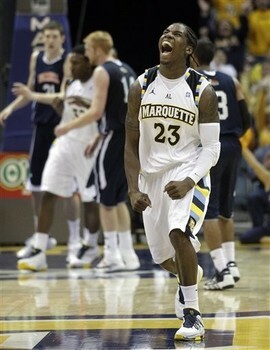 He is not here at Marquette for himself or his pride. For him, it is about we and not me. Could Jae Crowder have looked any more like Lazar in his number 32, playing defense 30 feet from the basket while overpowering everyone underneath for 10 rebounds, 3 steals and 6 of 9 shooting including a trey. WOW. Jamail Jones looked just as good, albeit in just 8 minutes. 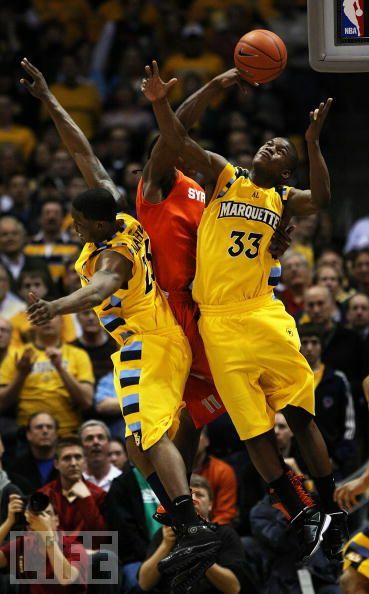 Add them to Jimmy Butler, and MU has three unbelievable swing men. The Panthers can put a tall guard or a struggling 6-foot-7 big player on one or more of them, but this is where MU will have its biggest mismatch opportunities. 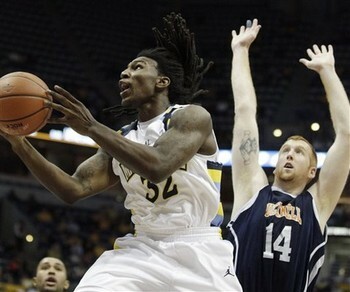 …This is key for the Golden Eagles is Jae Crowder, Jimmy Butler, and Jamail Jones. They are all tough, can play in the post, and get to the foul line. Oh! And not to mention, get tons of REBOUNDS. That is something the team is going to need to do to win a lot of games in the Big East. Even though this Prairie View A&M team is from the SWAC and is small, they gave Cincinnati a run for their money last year in a 69-62 loss and coach Buzz talked about how this game is very important. He thinks they could possibly get upset if they play the way they did against St. John’s (Minnesota). But if the Golden Eagles want to win it will have to come with protection of the ball on offense and defend the three-point line. If they can do those two things, they will win the game…. Ahh, the life of a New York Knicks fan. Your teams are not that good. That is what I have been saying for years now but this years team actually looks like the real deal. Game 1, my freshman year, the Knicks made trades to pick up Al Harrington, Cutino Mobley, and Tim Thomas so they played with only 7 men on the roster. There was also the whole controversy with Stephon “Starbury” Marbury and Mike D’Antoni regarding playing time. 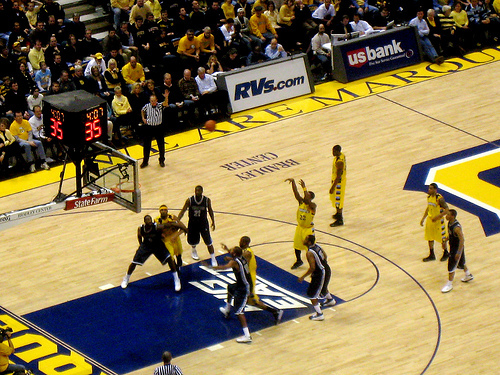 However, it did not matter in the game as they ended up losing 104-86. Chris Duhon led the team with 20 points and even Malik Rose and Anthony Roberson played. That just wasn’t good. 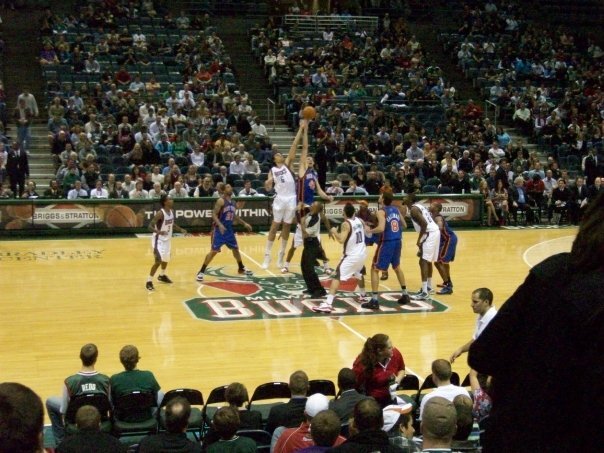 Then Game 2, my sophomore year it looked like the team might get a win with Gallinari and Lee at the helm in Milwaukee. Guess what happened? Loss number two. They lost 102-87. Lee lead the team with 18 pts but also Larry Hughes was on the team then and he had 14 pts along with Wilson Chandler’s 1-10 night and Harrington’s 1-7. Gosh it was a blowout. The score was 40-22 at the end of the 1st quarter. Now we go to Game 3 tonight, my junior year. This team is so much different. Got Felton at the point, much improved Chandler, Amare’ Stoudemire leading the team in virtually every category. This is why Knicks fans call him STAT. But let me just say, it will be a different game with a different result. The key though is to stop Bogut and Jennings. Point Guards have been killing the Knicks and if Jennings puts up a game like they did last year where he had 17 pts. It will not be a good night for the Knicks. 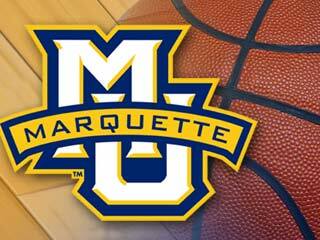 But I am upbeat and ready to head to the Bradley Center for the contest. Should be a good one. Chris Gaston just keeps winning preseason awards. He is on the preseason 2nd team all-atlantic 10 team and has now been ranked in the top 25 powerforwards in the nation on Rivals.com. Last years A-10 rookie of the year is looking to do some damage this season with a brand new squad. To see the website and all the rankings, CLICK HERE. 23. Chris Gaston (6-7/220, Soph. ), Fordham: Gaston ranked fifth in the nation in rebounds (11.4) and was fourth in the Atlantic 10 in scoring (18.0) last season despite playing on a dreadful team. 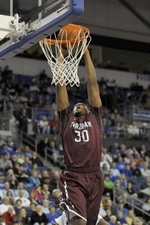 He scored a total of 504 points, the most by any Fordham player since 1972-73. Donnie Dwyer went to the Al McGuire Center to cover the Marquette Women’s Volleyball game against the UIC Flames. They defeated the Flames 3-0 because of Kelsey Mattai’s 10 kills and 6 blocks. This team is coming together and is looking to beat the 1979 record of 14 straight wins in a row. 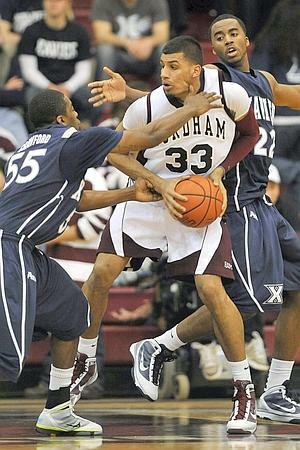 Michael Haynes was part of a Fordham team in the days when Fordham Basketball was not at it’s best from 2001-2004. In his Junior year he averaged 15 pts and 8 rebounds a game and in his Senior year he averaged 18 pts and 7 rebounds a game. He was a very good shooter and power forward. He then wanted to get drafted or play in the NBA and went through a lot of training in the NBA Summer League with Phoenix, Atlanta, and Chicago. He was not able to latch on to any of those teams so he decided to play in Europe but still felt he could play in the NBA one day. The 28-year-old Haynes enjoyed his prime years away from home. He played seven season overseas. He’s had stints in Israel, Spain, Poland, France and Germany. He averaged over 10 pts a game and a little over 5 rebounds. 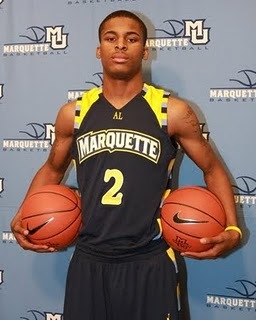 Over the summer of 2009, he played in the Nike Pro City league. He scored 36 points on 13-of-18 shooting from the field. 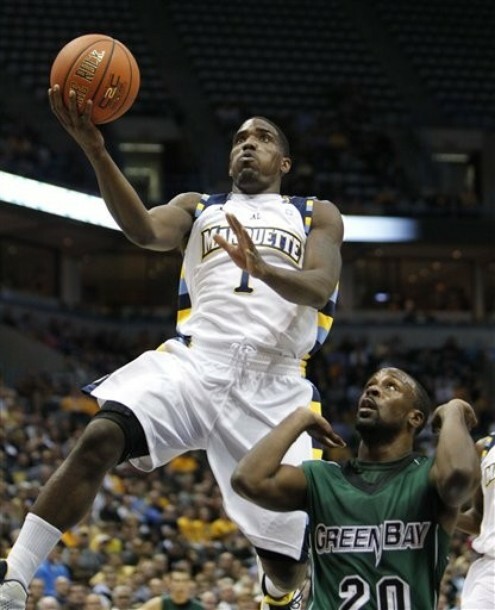 On Monday, He just got drafted in the 2010 NBDL draft in the the 4th round by the Iowa Energy which is a team affiliated with the Bulls and the Suns. Even with his age, he still feels like he can be the player he once was at Fordham. 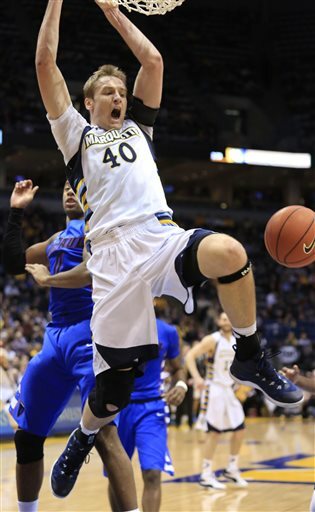 He wants to be that leader on the floor and play for a team that will win. Let’s see what happens throughout the season and if he can get that call from an NBA team to play on in an NBA game. Best of luck to Mike as he tries to turn a dream and a journey into reality.